On the 24th of December, 2009, Jose Amado Gonzalez Gonzalez, a former lieutenant colonel in the Dominican National Police, was killed gangland-style in an upscale neighborhood of Santo Domingo, the Caribbean nation's capital. 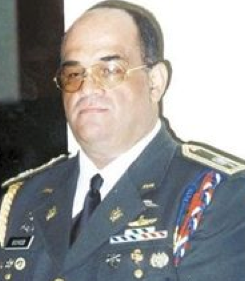 Gonzalez' murder scandalized the nation, especially because two colonels attached to the DNCD, the Dominican Republic's drug control agency, were subsequently arrested in connection to the murder. This led to wanton suspicion in the Dominican media that Dominican security services had been infiltrated at the highest levels by elements with connections to international drug cartels; suspicions which cables leaked by former US Army Private Chelsea Manning detail to have been shared by the United States. According to the February, 2005 cable, the United States suspected that General Florentino had links to Captain Quirino Paulino Castillo, who had previously been charged with mass drug trafficking. General Florentino's connections to the Dominican President were deep, as he had previously been head of Pres. Fernandez' security detail. Though Pres. Fernandez defended General Florentino, saying he had known him to be a law-abiding citizen, he agreed to the US Embassy's request to have him replaced, asking for input in selecting the next head of the country's intelligence agency. In that same February diplomatic cable, President Fernandez admitted to the US Ambassador that Dominican military officials routinely skim "10% of resources that pass through their hands as a 'commission,'" and added that he had retired 100 generals and planned to retire a further 100, but he cautioned that he needed to move slowly because his own position could be in jeopardy if he were to challenge the military. Pres. Fernandez gave the US Ambassador the very distinct impression that he feared a military coup, or that perhaps he could end up like Lieutenant Colonel Jose Amado Gonzalez Gonzalez: executed by his own confederates. If indeed President Fernandez was afraid of the extent to which the Dominican military, the intelligence service (DNI,) and the drug enforcement directorate (DNCD) had been infiltrated by drug traffickers, then perhaps it explains why he has been recently accused of taking money from Captain Quirino Paulino Castillo, who just last year was released from confinement in the United States. 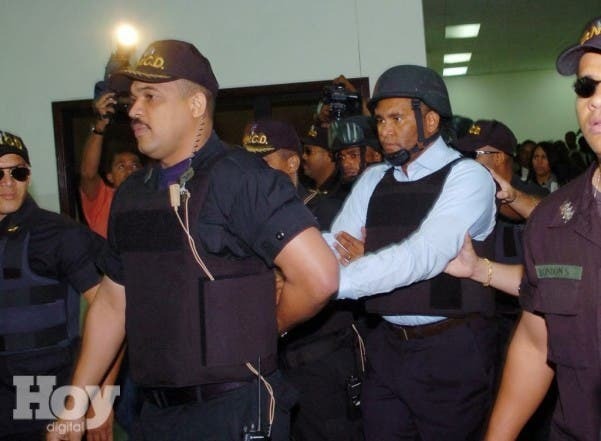 There was difficulty in sentencing Captain Paulino, especially because after his arrival back to the Dominican Republic last year he implicated President Fernandez in his drug-trafficking conspiracy. If Captain Paulino did indeed tell the truth about funding President Fernandez' campaign to the tune of millions, then it calls into question President Fernandez' assertion that he was afraid of a military coup by his officers, and it indicates that he continued the same "programs" he inherited from his predecessor, President Mejia. In fact, it also brings into question how two colonels in the DNCD were able to learn that Lieutenant Colonel Gonzalez was scheduled to talk to the US Drug Enforcement Agency. Figueroa Agosto was the Caribbean's El Chapo before El Chapo, a trafficker dating celebrities and with enough pull to escape even out of US federal prison. He was described by US prosecutors as being aided by corrupt Dominican officials. The December 2009 cable details how, in an audacious phone call to one of the main radio shows in the Dominican Republic, Jose Figueroa Agosto alleged that: "DNCD officers had killed Gonzalez in order to cover up a one million dollar bribe that Gonzalez had paid to them to secure his freedom." Tragically for Lt. Col. Gonzalez, someone at the top was afraid of what he had to say about the escape of Figueroa Agosto, with the Dec. 2009 cable detailing that someone in the Dominican Public Ministry had "possible complicity in outing Gonzalez's apparent cooperation with authorities." During Mr. Figueroa Agosto's phone call to Dominican radio, he alleged that the head of DNCD operations was directly involved in a massive drug trafficking conspiracy. When asked if he had contact with high-ranking members of the Dominican government, Mr. Figueroa Agosto left open the possibility that he had enjoyed contact with high-ranking members of the Dominican government. 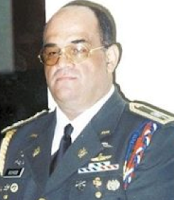 Mr. Figueroa Agosto's refusal to deny if he had met with high-ranking Dominican officials is perhaps the best indication as to how the two DNCD colonels implicated in the death of Lt. Colonel Gonzalez learned that he was scheduled to meet with the US Drug Enforcement Agency. Either the individuals in the Dominican drug directorate were aware of who the US Drug Enforcement Agency sent to the Dominican Republic, or someone at the very top had informed the DNCD that Lt. Colonel Gonzalez was going to speak with US federal authorities, someone in the Dominican Foreign Ministry. Disconcertingly, the Foreign Ministry leads to the Presidential Palace. Capt. Paulino was being kept in isolation at DNCD headquarters, a place under constant US surveillance where the list of suspects in his murder would be small, as opposed to the island's main prison. Capt. Paulino was eventually moved to the main prison, but was promptly returned to the DNCD after the island's Attorney General warned him of "credible evidence of an international conspiracy" against him. 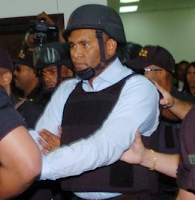 An apparently shaken Paulino told his lawyers not to contest the prison move, indicating that the threat came from very high up. US officials believed that Colombian drug traffickers and Dominican politicians wouldn't want to be linked to Captain Paulino if he spoke after being extradited to the US, but the indication seems to be that Figueroa Agosto was afraid that Capt. 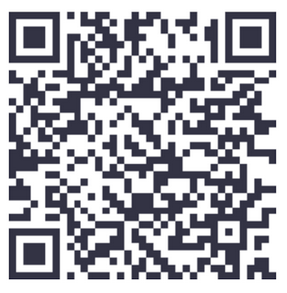 Paulino would speak against him, or perhaps give away his assets. the help of Pepe Goico, who is described by US diplomats as the "bagman" for "payments made by Ramon Baez Figueroa of the now-failed Baninter to support the presidential travel of President Hipolito Mejia." Baninter bank, whose fall nearly precipitated a calamity in the Latin American economy, was bailed out by President Mejia, nearly crippling the Dominican economy in the process. The link between Baninter, Captain Quirino Paulino, President Mejia, and even the the Vice-President of the Senate, are established. The US believed that, given the "scale" of his operation, Capt. Paulino had to have been working "with Colombian cocaine wholesalers and bringing the drugs across the border from Haiti, probably by helicopter;" a helicopter which was purchased from Baninter bagman and informal Presidential Travel Manager Pepe Goico. If there is any indication that transportation for major drug shipments was being provided by high-ranking elements within the Dominican government of President Mejia, then the fact that diplomatic cables lay out that Captain Quirino Paulino was driving a Mercedes 500 sedan "imported duty-free using an authorization issued to Senate Vice-President Csar Matas of [President] Mejia's Party" should help clear some doubt. Vice-President Matas defended himself by alleging that he had "transferred the authorization to a dealer," something which is against Dominican law. Nonetheless, Vice-President Matas was never charged with a crime, nor did he ever have to deeply explain why the biggest drug trafficker in the Dominican Republic was driving a car obtained illegally with his assistance. The head of Baninter didn't have to clarify if any of the squandered money came from massive drug trafficking, and former President Mejia ran for re-election without the implosion and bail-out of Baninter and subsequent economic crash making him an enemy of the state. Even US diplomats acknowledge that the Dominican media failed to dig up the fact that Captain Paulino's "farms in Elias Piña were providing military outposts there with provisions, free of charge." It seems that in an international drug trafficking conspiracy so complex that it implicates: Colombian drug cartels; two Dominican presidential administrations; two international drug kingpins; the Vice-President of the Dominican Senate; members of the Dominican Chamber of Deputies; members of the Dominican Drug directorate; members of the Dominican intelligence agency; members of the Dominican army; and maybe possibly the CIA... only the Puerto Rican guy takes the fall for murder, and is the only one serving real prison time. Today, everyone except the Puerto Rican Jose Figueroa Agosto -- who will likely die before his hundreds year sentence in US federal prison is up -- will enjoy freedom and wealth in the tropical paradise that is the Dominican Republic.